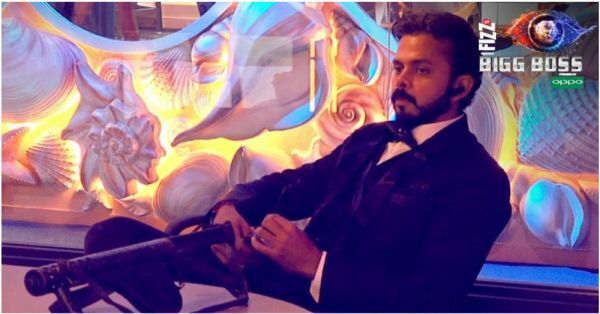 Bigg Boss Season 12 Episode 57: Sreesanth Becomes A Hitman! Bigg Boss Season 12 seems to be different from all the seasons so far. The closer the show is getting to the finale, more and more tasks are aiming at reducing the prize money. I have given up on trying to understand Sreesanth. He threatens to leave the house and quits the tasks all the time, but if the contestants vote him out, he gets pissed and holds grudges against them. Megha is getting aggressive day by day. She initially came across as a humble but competitive person. And now, she's abusing everyone in the house. Shivashish is figuring out whose side he is on. 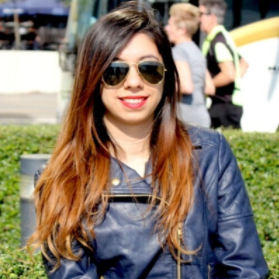 Srishty has let go of her laziness and has started actively taking part in the tasks. Dipika isn't crying or whining anymore and well, the Happy Club is happy as always. Last but not least, Karanvir is still my favourite. Yesterday's episode had an interesting luxury budget task. In case you missed all the drama that happened last night, we have the highlights for you. Read on! Sreesanth had been upset with Karanvir for giving him a punishment and making him wash the utensils. The minute he was asked to do the task, he started complaining. In fact, he threatened to leave the Bigg Boss house as he felt insulted for being asked to wash the utensils on national television. Bigg Boss called him inside the confession room and appreciated him for completing the task in a dignified way. He apologised to Bigg Boss for getting hyper and told him that he gets emotionally attached to people and he cannot take it when they backstab him. Bigg Boss announced the luxury budget task - Hitman. Romil and Sreesanth were chosen as the hitmen of the house and the rest of the contestants would have to give them a contract to execute one housemate each. Bigg Boss explained that whoever gets executed by the hitmen will be out of the captaincy race and the hitman who kills the maximum number of inmates will automatically be nominated for captaincy. He also informed the contestants that the amount given to the hitmen by the contestants would be subtracted from the winning amount. Romil decided to kill Jasleen after Rohit offered him Rs 75,000 to kill her. Jasleen called out Rohit for getting influenced by Srishty and not taking decisions on his own. To her surprise, Shivashish too took their side, which further irked Jasleen. And that's when Shivashish officially ended his friendship with Jasleen. Romil convinced Sreesanth to kill Dipika. Sreesanth agreed to do it but said he will not spare Rohit. Romil and Sreesanth got into a heated argument after Sreesanth insisted on killing Rohit. But Romil was adamant on saving him. Sreesanth walked out of the task. Romil killed Megha for Rs 3,20,000. The Happy Club decided to kill Shivashish. He got upset with them. Deepak asked Shivashish and Rohit to decide between themselves. Shivashish convinced Rohit to back off. Karanvir and Deepak both took Rohit's name, which annoyed Srishty. Sreesanth killed Rohit for Rs 3,60,000.